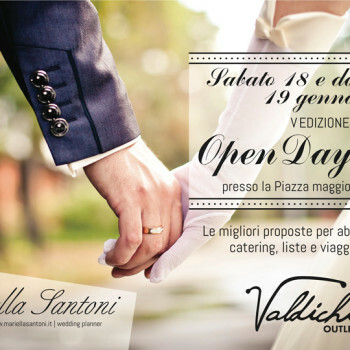 Saturday 18 and Sunday 19 we were the protagonists to Valdichiana Outlet Village on the occasion of the Open Day Wedding 2014. The event has gathered 80,000 visitors in two days filled the large gazebo “Crystal” decorated for the occasion. At our booth we presented many innovations and ideas regarding lighting. 2014 is the year of confirmation “vintage” and the “rustic” so they could not miss the lights, lamps bulb Edison and many other solutions for everyone, and to stay on with vintage music could not miss the console with turntables.